Roshan Cultural Heritage Institute is proud to partner with the following universities in the United States and abroad to advance Persian Studies. Support has been provided to develop Persian Studies programs, to establish faculty positions, fellowships and scholarships, and to sponsor research projects and cultural programs. In 2006, Roshan Cultural Heritage Institute supported a two-year research project led by Dr. Sonia Brentjes, Associate Professor at the Institute for the Study of Muslim Civilizations of The Aga Khan University. This initiative focused on Iranians’ identities in Iran and abroad with the following objectives: 1) recording and analyzing the imaginations of individual Iranians with regard to what constitutes the history of Iran; 2) contributing to a more nuanced understanding of the manner in which Iranian identities are constructed under the conditions of a dictatorial state; 3) documenting oral-history data; and 4) participating, academically, in the process of democratization and pluralist opinion formation in Iran. Dr. Brentjes is currently a Research Scholar at the Max Planck Institute for the History of Science in Berlin, Germany. An endowment for the Elahé Omidyar Mir-Djalali Professor of Persian Language was established in 2018 in the School of Middle Eastern & North African Studies, a unit in the College of Social Behavioral Sciences, under the leadership of Dean John Paul Jones, III. The new faculty will teach Persian language courses at all levels and will develop curriculum and teaching materials. Roshan Graduate Interdisciplinary Program in Persian and Iranian Studies was established at the University of Arizona's Graduate School in 2016. This endowment provides funding in support of the Elahé Omidyar Mir-Djalali Chair in Persian and Iranian Studies, the Roshan Institute Professor in Persian and Iranian Studies and Persian programming activities. M.A., Ph.D. and Ph.D. Minor degrees in Persian and Iranian Studies are offered starting Fall 2017. Dr. Kamran Talattof, Professor of Persian Language and Literature, was appointed as the inaugural Elahé Omidyar Mir-Djalali Chair in Persian and Iranian Studies as well as the Founding Chair of Roshan Graduate Interdisciplinary Program in Persian and Iranian Studies. Professor Talattof also holds affiliation with the Department of Gender and Women's Studies and the Graduate Program in Second Language Acquisition and Teaching. Roshan Institute Fellowship for Excellence in Persian and Iranian Studies was established in the School of Middle Eastern & North African Studies (MENAS) (formerly Department of Near Eastern Studies) in 2003. 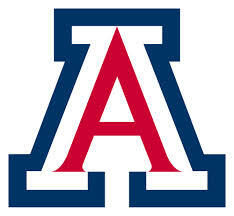 It provides financial assistance to outstanding graduate students working towards a graduate degree related to Persian studies at the University of Arizona. Housed at MENAS, the Program in Persian and Iranian Studies offers four years of Persian language instruction as well as several courses in Persian culture. In 2018, Roshan Cultural Heritage Institute awarded a grant to the University of Arizona in support of the second North American Conference in Iranian Linguistics (NACIL 2), which will take place on April 19-21, 2019, under the leadership of Dr. Simin Karimi, Professor of Linguistics at the UA. Keynote speakers include Professors Arsalan Kahnemuyipour (University of Toronto), Agnes Korn (Centre National de la Recherche Scientifique, France) and Richard Larson (Stony Brook University). Invited guest speakers are Professors Noam Chomsky (University of Arizona) and Anoop Mahajan (UCLA). Narges Nematollahi holds the position of Elahé Omidyar Mir-Djalali Assistant Professor of Persian Language and started teaching Persian language courses in Fall 2018, while completing dual doctoral degrees in the departments of Central Eurasian Studies and of Linguistics at Indiana University. Her research focuses on the epistolary tradition in pre-Islamic Iran (composed in Aramaic, Parthian and Middle Persian languages) and how it is transformed in the early medieval Iran, under the influence of Arabic. In March 2017, Dr. Austin O'Malley was selected as the new Roshan Institute Assistant Professor in Persian and Iranian Studies. He is a scholar of Persian literature, language and culture, whose research focuses on didacticism and rhetoric. Dr. O'Malley received his B.A., M.A. and Ph.D. in Near Eastern Languages and Civilizations from The University of Chicago, and was previously a Lecturer in Persian at Northwestern University. Roshan Cultural Heritage Institute also supported Professor Talattof’s Persian textbook project entitled "Modern Persian: Spoken and Written" (Volumes 3, 4 and 5) between 2008 and 2013. Professor Talattof is a co-author of the first two volumes published by Yale Press in 2005. This is a series of textbooks designed to teach elementary and intermediate levels of Persian for college students or independent learners. In 2006, Roshan Cultural Heritage Institute sponsored the visit of Dr. Shirin Ebadi, Distinguished Visiting Faculty in Human Rights, to teach a graduate course on Islam and Human Rights at The Center for Middle Eastern Studies of The University of Arizona. This intensive course investigated the tensions between Islam and Human Rights—both perceived and real—based upon Dr. Ebadi's experience as an Iranian judge, lawyer and activist. On June 17-19, 2005, the "First International Conference on Aspects of Iranian Linguistics” was held at Max Planck Institute for Evolutionary Anthropology, in Leipzig, Germany. This event featured approximately 50 participants including invited speakers Mohammad R. Bateni (Tehran University) and Gilbert Lazard (École Pratique des Hautes Études, Paris). It was organized by Donald Stilo (Max Planck Institute for Evolutionary Anthropology), Simin Karimi (The University of Arizona) and Vida Samiian (California State University, Fresno), and sponsored in part by Roshan Cultural Heritage Institute. Roshan Cultural Heritage Institute awarded a grant to Brandeis University in support of a fellowship for Dr. Talinn Grigor to publish her new book, Contemporary Iranian Art: From the Street to the Studio (London, Reaktion Books, June 2014), while she was Associate Professor in the Department of Fine Arts at Brandeis. This book is the first single-author, art historical study on contemporary Iranian art and visual culture since the 1979 revolution. 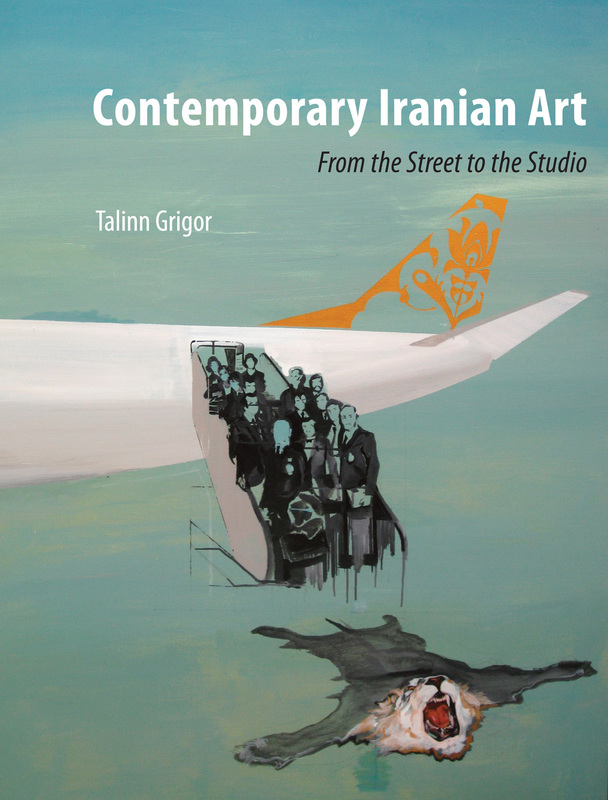 Dr. Grigor is currently Professor of Art History at UC Davis, where her research concentrates on the cross-pollination of visual culture and global politics and historiography, focused on Iran and India. She is also a former recipient of Roshan Institute Fellowship for Excellence in Persian Studies in 2003 at MIT. Brown University received a grant from Roshan Cultural Heritage Institute in support of the 2014 residency of Visiting Scholar Mohsen Namjoo, who is an Iranian artist, songwriter, singer, music scholar and setar player. During his residency in the Middle East Studies program at Brown, Namjoo taught courses on Persian music and held musical talks and concerts. 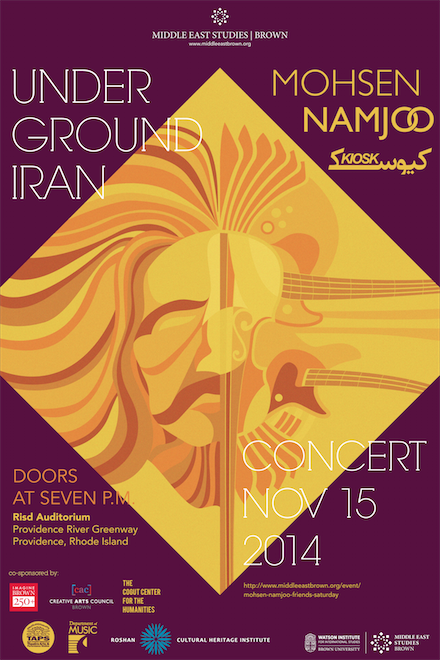 The highlight of this initiative was the Iranian music festival entitled "Underground Iran," held on November 15 at the Rhode Island School of Design Auditorium. It featured, together for the first time on stage, Namjoo and Arash Sobhani (KIOSK). Accompanying this music festival was a panel discussion on November 13 entitled "From Providence to Tehran: Using Music and Performance for Social Change" with Namjoo, KIOSK and Brown faculty, moderated by Professor Beshara Doumani (Director, Middle East Studies). Both events were well attended and live-streamed, reaching an audience beyond the walls of Brown University. 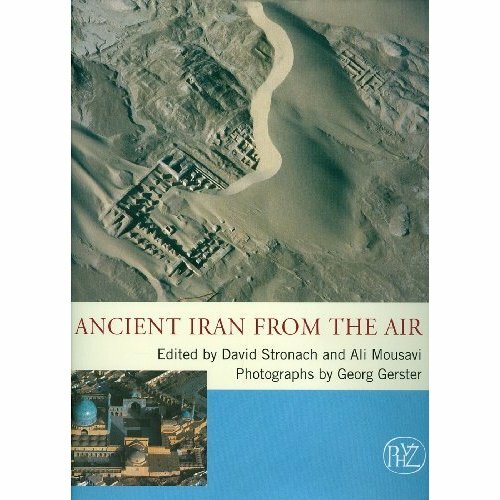 Roshan Cultural Heritage Institute awarded a grant to UC Berkeley's Professor Emeritus of Near Eastern art and archaeology and renowned archaeologist, David Stronach, for the publication of Ancient Iran from the Air (Philipp von Zabern, 2012). Co-authored by Professor Stronach and Dr. Ali Mousavi (then Curator of Ancient Near Eastern Art at the Los Angeles County Museum of Art), this book takes the reader on an aerial odyssey that explores the country's infinitely varied landscapes; many of the more noted sites associated with Iran's rich prehistoric past; the storied capitals of the Achaemenid and Sasanian empires; the memorable monuments of Saljuk and Safavid Isfahan; and, last but not least, on a journey that celebrates the age-old virtues of Iran's largely unsung vernacular mud-brick architecture. It features photographs taken by the world's foremost aerial photographer, George Gerster, between 1976 and 1978. An endowment for the Elahé Omidyar Mir-Djalali Presidential Chair in Art History and Archaeology of Ancient Iran was established in 2017 in the School of Humanities. The Chair is expected to be a scholar in any or all of the three dynasties of the ancient Persian world: Achaemenid, Arsacid, and Sasanian (550 BCE - 650 CE). In addition to teaching, the Chair will conduct extensive research, author publications, and hold or participate in scholarly conferences and related events. The new faculty member will be housed in the Department of Art History and will collaborate with the Samuel M. Jordan Center for Persian Studies and Culture at UC Irvine. In July 2018, Professor Matthew P. Canepa was appointed the inaugural Elahé Omidyar Mir-Djalali Presidential Chair in Art History and Archaeology of Ancient Iran. An historian of art, archaeology and religions, his research focuses on the intersection of art, ritual and power in the eastern Mediterranean, Persia and the wider Iranian world. His most recent book, The Iranian Expanse: Transforming Royal Identity through Architecture, Landscape and the Built Environment, 550 BCE-642 CE (University of California Press, 2018) is a study of the natural and built environments of power in Persia and the ancient Iranian world, from the height of the Achaemenids to the coming of Islam. Professor Canepa received his Ph.D. in Art History from The University of Chicago (2004) and previously was Professor and Director of Graduate Studies in the Department of Art History at the University of Minnesota. In August 2017, Roshan Cultural Heritage Institute awarded a grant to UC Irvine in support of three annual programs: the Elahé Omidyar Mir-Djalali Symposium on Ancient Iranian History and Civilization, the Elahé Omidyar Mir-Djalali Symposium on Persian Language and Literature, and the Elahé Omidyar Mir-Djalali Lectures. The annual programs will be held at the Samuel M. Jordan Center for Persian Studies and Culture, under the leadership of Professor Touraj Daryaee, for three consecutive academic years. In 2017-2018, "The Elahé Omidyar Mir-Djalali Symposium on Persian Language and Literature: Persian Literature Unbound" was held on November 10, "The Elahé Omidyar Mir-Djalali Symposium on Ancient Iranian History and Civilization: Food and Drink in Ancient Iran" on May 15, and the Elahé Omidyar Mir-Djalali Lecture, "Not that Lost in Translation: Sasanian Exgesis of the Avesta," by Dr. Miguel Angel Andrés-Toledo took place on August 5. In 2018-2019, "The Elahé Omidyar Mir-Djalali Symposium on Persian Language and Literature: Roads (Not) Taken, Literary Translation in Iran" was held on December 7. Two UC Irvine Ph.D. candidates have each received an Elahé Omidyar Mir-Djalali Fellowship for Excellence in Persian Studies for the completion of their doctoral degrees during academic year 2017-2018. Deanna Kashani will use the fellowship to finish writing her dissertation, "Beyond the Framed Image: Contemporary Iranian Art from Production to Exhibition," in the Ph.D. Program in Visual Studies; and Soodabeh Malekzadeh will utilize the fellowship to complete her dissertation, "The Sasanian Empire in the Fifth Century: the case of Yazdegerd I and Bahram V," in the Department of History. Both students completed their doctoral studies in Summer 2018. Starting academic year 2015-2016, UC Irvine is offering a Minor in Persian Studies to undergraduate students. Elementary and Intermediate Persian courses are taught by Dr. Soheila Kian, Lecturer in French and Persian. In June 2015, Dr. Touraj Daryaee, Maseeh Chair in Persian Studies and Culture, was appointed Director of the Samuel M. Jordan Center for Persian Studies and Culture, UC Irvine's hub for interdisciplinary research projects that bridge the arts, humanities, engineering medicine and the sciences with Persian Studies. In 2014, Roshan Cultural Heritage Institute awarded a grant to UC Irvine toward a summer fellowship for Soodabeh Malekzadeh, Ph.D. student in the Department of History, to support her dissertation research on the Sasanian era. Entitled “Bahram V: The Romantic Hunter-King or a Judo-Arab Emperor?”, her dissertation covers the Sasanian King’s life and reign, the cultural, military and religious connections and relations of the 5th-century Persian Empire with the Roman Empire, as well as Bahram’s enduring legacy as a romantic hunter-king in Persian literature and art. Ms. Malekzadeh is working under Professor Touraj Daryaee. In 2013, UC Irvine Maseeh Professor of Persian Performing Arts, Dr. Hossein Omoumi received a grant from Roshan Cultural Heritage Institute for the production of the documentary film, "Classical Persian Music: Hossein Omoumi From Isfahan to Irvine" by Documentary Educational Resources, Inc. Professor Omoumi is a noted musician, scholar and teacher of Persian music. He has performed extensively in the U.S. and in Europe, and recorded several albums. In addition to the film, our grant funded educational materials developed by Professor Omoumi and outreach activities designed to increase interest and promote the beauty of Persian classical music. Roshan Cultural Heritage Institute has supported two research initiatives by Dr. Touraj Daryaee, Howard C. Baskerville Professor in the History of Iran and the Persianate World. The first is the Sasanika Project, including the publication of the Sasanika Series, monographs on Sasanian Iran; the publication of the Sasanika Occasional Papers; and an honorarium for scholars abroad (namely those in Iran, Armenia, and Georgia) to submit articles related to Sasanika research. 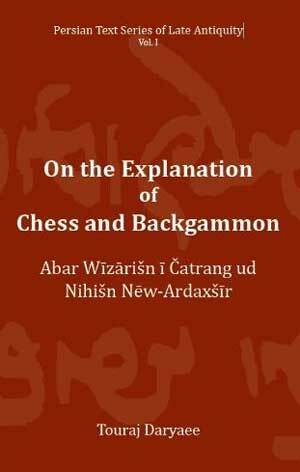 The second is the publication of On the Explanation of Chess and Backgammon, which explains the invention and rules of the games in the sixth century CE, during the rule of the great Sasanian king of kings, Khusro I (531-579 CE). Professor Daryaee’s areas of expertise include late Antiquity and medieval history, and Indo-Iranian languages and culture. An endowment for the Elahé Omidyar Mir-Djalali Postdoctoral Fellowship in Iranian Linguistics was established in 2017 in the Department of Linguistics. The fellowship carries a term of two years for research in Iranian linguistics, with an optional option for one additional year. Each Elahé Omidyar Mir-Djalali Postdoctoral Fellow will be offered a paid teaching assignment in the Department of Linguistics, for the period of the fellowship at UCLA. Roshan Institute Fellowship for Excellence in Persian Studies was established in 2002 to support top graduate students in the Department of Near Eastern Languages and Cultures who are working toward the Ph.D. degree in Iranian Studies. The Ph.D. Program in Iranian Studies encompasses the Persian track (New Persian language, literature, and Islamic philosophy) and the Old Iranian track (languages, literary traditions, history, and religions of Ancient, pre-Islamic, Iran). In 2016, the endowment for our doctoral fellowship changed its name to Elahé Omidyar Mir-Djalali Fellowship for Excellence in Persian Studies and was moved to the Division of Humanities, in order to benefit the greatest number of top graduate students from across the College of Arts & Sciences working in Persian and Iranian studies. The name change was initiated by UCLA, in recognition of Roshan Cultural Heritage Institute Chair and President, Dr. Elahé Omidyar Mir-Djalali, and her contributions to Persian studies. In 2017, the UCLA Herb Alpert School of Music was awarded a grant to establish the Elahé Omidyar Mir-Djalali Fund for Iranian Music in support of the Iranian Music Program during academic years 2017-2018 and 2018-2019. The Iranian Music Program was first established by Professor Hormoz Farhat in 1967, but regrettably removed from the curriculum in 1993, due to lack of funding. Our Elahé Omidyar Mir-Djalali Fund for Iranian Music enables UCLA Department of Ethnomusicology Lecturer in Music and former Roshan Institute Fellow, Dr. Amir Hosein Pourjavady, to revive the Persian Music Ensemble classes, and provide students the opportunity to participate in a year-end Persian Music Ensemble Concert. 2011-2012 Daniel Rafinejad “I am a Mine of Golden Speech”: Language, Poesy, and the Self in the Philosophical Poetry of Nasir-i Khusraw"
In 2010, Roshan Cultural Heritage Institute Endowed Professorship was established to support a faculty member who will contribute to the development of the Persian Language and Culture Studies program in the College of Arts & Humanities. Dr. Partow Hooshmandrad, who arrived in Fall 2012, is the initial occupant of the Professorship and teaches in the Department of Music. She is a scholar and musician who specializes in the devotional practices of the Ahl-i Haqq including the musical repertoire, the texts, and the rituals, as well as Iranian classical music. Roshan Institute Scholarship for Excellence in Persian Studies was created in June 2007 in the College of Arts & Humanities under the leadership of Dean Vida Samiian to encourage the inception and continuation of course offerings in Persian Language and Culture Studies. A social reception, including a performance of Persian classical music, was held in April 2009 to honor the achievements of the first 17 scholarship recipients. Roshan Cultural Heritage Institute supported the development of Persian Studies at California State University, Fresno early on. In 2008, a grant was provided for programmatic activities in Persian and Iranian Studies. Roshan Cultural Heritage Institute supported the first annual diversity conference organized by Central Valley Cultural Heritage Institute at CSU Fresno on October 8-11, 2005. It was the first campus-community diversity conference comprising 30 workshops offered by Fresno State faculty, staff, students, and community members. Roshan Cultural Heritage Institute supported the organization of the conference "Iranian Identity in National, Historical and Global Contexts" at California State University, Los Angeles, on May 27, 2010. This initiative was led by Dr. Afshin Matin-Asgari, Professor of History at CSULA, whose areas of specialization are 20th-century Middle East, modern Iran, and modern Islamic political and intellectual movements. The conference explored the theme of Iran’s “identity,” central both to academic debates and the crisis Iran currently faces due to the clash of contending visions of the country’s national, religious and political character. Over 50 people, including CSULA faculty and students as well as Iranian community members, attended the conference to enjoy lectures and panels presented by ten scholars in Persian Studies . Roshan Cultural Heritage Institute, in partnership with the Faculty of Oriental Studies at the University of Cambridge and Iran Heritage Foundation, organized a major conference dedicated to the 12th-century Persian poet Nizami of Ganja. The conference, entitled “Nizami Ganjavi – Artistic and Humanistic Aspects of the Khamsa,” took place at the University of Cambridge on September 9-10, 2004. Its emphasis was on the artistic and humanistic aspects of the poet’s work, i.e. narrative stratagems, forms and functions of rhetoric figures, ethical and philosophical concerns, nature description and its function, his lyrical work, psychology and development of the heroes, comparative analyses, sources and influences. The keynote address was delivered by Christoph Buergel, followed by presentations from several scholars. Roshan Cultural Heritage Institute provided a grant to the University of Chicago to award a Roshan Institute Fellowship for Excellence in Persian Studies to Tytus Mikolajczak, Ph.D. student in the Department of Near Eastern Languages and Civilizations, for the completion of his dissertation, entitled "The Accounting Texts and Seals in the Persepolis Fortification Archive," during academic year 2016-2017. Dr. Mikolajczak successfully defended his dissertation in March 2018 and currently is Assistant Professor at the Faculty of History, Adam Mickiewicz University, Poland. 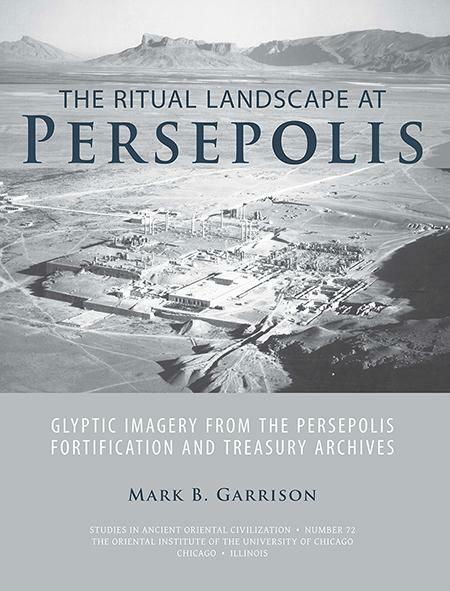 In 2016, a Roshan Institute Fellowship for Excellence in Persian Studies was awarded to Professor Mark Garrison for the publication of his book, The Ritual Landscape at Persepolis: Glyptic Imagery from the Persepolis Fortification and Treasury Archives, by the Oriental Institute, in the series "Studies in Ancient Oriental Civilization." Alice Pratt Brown Distinguished Professor of Art History at Trinity University, Professor Garrison is the Editor of the Persepolis Fortification Archive project at the Oriental Institute. His book arises from a series of invited lectures he delivered at the College of France in 2009, as the foremost expert on Achaemenid glyptic art. It is a major contribution not only to knowledge of Achaemenid art but also to the documentation and interpretation of Old Iranian religion. The book is available in print or free download. In 2015, a Roshan Institute Fellowship for Excellence in Persian Studies was awarded to Professor Mattthew Stolper to complete the Persepolis Fortification Archive (PFA) project at the Oriental Institute. The grant allowed for two students to help with the project during summers 2015-2017, and an additional eight students to work part-time on the project during academic years 2015-2018. Tytus Mikolajczak, Ph.D. student in the Department of Near Eastern Languages and Civilizations at The University of Chicago, is the first recipient of the Elahé Omidyar Mir-Djalali Fellowship established at the Louvre Museum. During 2014-2015, this fellowship award supported Mr. Mikolajczak's study and documentation of more than 300 Achaemenid objects in the collections of the Oriental Institute Museum in collaboration with the Louvre. The Project Directors were: Professor Emeritus Matthew Stolper and Dr. Jack Green (The University of Chicago), Professor Emeritus Pierre Briant (Collège de France) and Yannick Lintz (Louvre). In 2013, Roshan Cultural Heritage Institute awarded a grant to The University of Chicago to support the Persepolis Fortification Archive (PFA) Project at the Oriental Institute, directed by Dr. Matthew Stolper, John A. Wilson Professor Emeritus of Oriental Studies and Professor of Assyriology. 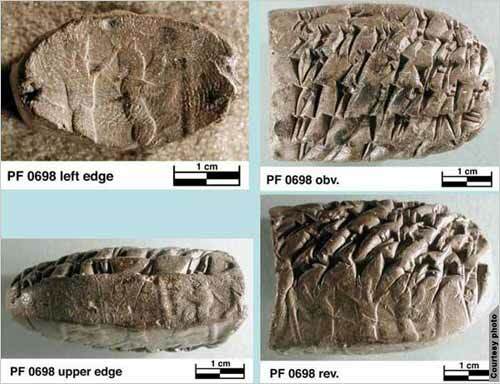 The PFA is a group of clay tablets discovered at Persepolis in 1933 by archaeologists from the Oriental Institute and provides an incredible source of information on the languages, art, institutions and history of Achaemenid Persia at its height. This grant allowed the following six students to work on the project during summer 2013: Christina Chandler (University of Colorado); Erin Daly (Notre Dame University); Katherine Livingston (University of Minnesota); Tytus Mikolajczak (The University of Chicago); Emily Wilson (The University of Chicago); and Seunghee Yie (The University of Chicago). The grant also supported work by two returning students, Ms. Chandler and Ms. Daly, during summer 2014. In 2011, Hani Khafipour, Ph.D. candidate in the Department of Near Eastern Language and Civilizations at The University of Chicago, received a Roshan Institute Fellowship for Excellence in Persian Studies to support his dissertation, entitled “The Foundation of the Safavid State: Fealty, Patronage, and Ideals of Authority (1501-1576).” Dr. Khafipour completed his degree in August 2013 and is now Lecturer in Iranian Studies at the University of Southern California. 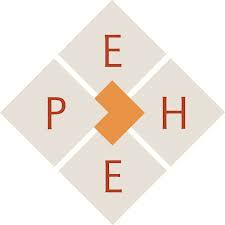 Since 2002, Roshan Cultural Heritage Institute has supported Encyclopædia Iranica, an international collaborative project based at Columbia University, founded by Professor Ehsan Yarshater who was Hagop Kevorkian Professor Emeritus of Iranian Studies until his passing on September 1, 2018. 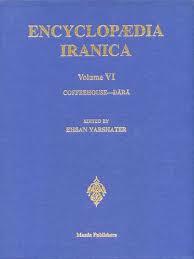 Encyclopaedia Iranica is an academic reference work which aims to cover all aspects of Iranian history and culture as well as all Iranian languages and literatures, thus facilitating the whole range of Iranian studies research from archaeology to political sciences. Its compilation is overseen by the General Editor and a team of internationally renowned scholars of Iranian studies. In 2010, Roshan Cultural Heritage Institute provided a grant to Duke University in support of a Roshan Institute Fellowship for Excellence in Persian Studies for Negar Amir-Haeri to pursue an LL.M. degree from Duke University School of Law. As part of her coursework, Ms. Amir-Haeri researched negotiations between the American and Iranian governments, including the 1979 hostage crisis in the U.S. Embassy in Tehran. Ms. Amir-Haeri received her LL.M. degree in 2011. In 2004, Pedram Khosronejad was awarded a Roshan Institute Fellowship for Excellence in Persian Studies to complete his doctoral dissertation at the École des Hautes Études en Sciences Sociales in Paris, France, under the guidance of Professor Thierry Zarcone (CNRS). His dissertation, entitled “Lion Tombstones Among Nomad Bakhtiaris in The South-West of Iran,” focused on how religious and oral beliefs regarding death and dying led to the creation of mortuary material culture and mortuary visual representation. Dr. Khosronejad received his Ph.D.in Social Anthropology-Ethnography in 2007, and is currently Farzaneh Family Scholar and Associate Director for Iranian and Persian Gulf Studies at Oklahoma State University. In 2015, Roshan Cultural Heritage Institute awarded a grant for the publication of Le Coran des Historiens ("the Qur'an of the Historians") by Professor Mohammad Ali Amir-Moezzi. This project will complement Professor Amir-Moezzi's earlier publication of the Dictionnaire du Coran. The Qur'an of the Historians is distinct for its objective approaches to the subject, which includes critical research, based on historical and philological study of multiple Islamic sources available. The objective of the Qur'an of the Historians is to provide a general audience with a clear, accessible, yet scientific, rigorous research. In 2004, Roshan Cultural Heritage Institute awarded a grant to Professor Amir-Moezzi, Director of Study in the Section des sciences religieuses at the École Pratique des Hautes Études (EPHE) in Paris, France, for the publication of the Dictionnaire du Coran (“The Koran Dictionary”). Professor Amir-Moezzi directed this major effort, which was initially published in French (Robert Laffont, 2007) and translated into Italian (2007) and English (2012). The Dictionary's 1,024 pages contain hundreds of bibliographical references and an exhaustive index making the dictionary an indispensable tool for research and an asset for all libraries. The 500+ entries relate to Koranic data: religious topics, moral and anthropological concepts, elements of nature, characters and figures, historical information, etc. 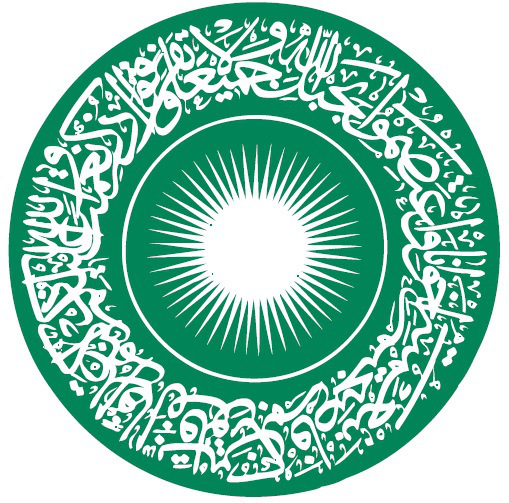 Extra-Koranic data with regards to Islam, such as intellectual and spiritual disciplines (theology, philosophy, exegesis, law, mysticism), history and text filiations, manuscripts, arts and literature, translations, different Koranic schools and their relations to other religions, are also covered. 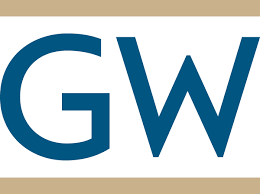 In 2017, Roshan Cultural Heritage Institute renewed its grant to the Language Center at George Washington University in support of activities held during the second annual Persian Cultural Week. The week-long activities, held March 23-30, included a lecture on "Iran and its Splendor," the screening of Jafar Panahi's "Taxi," poetry readings in Farsi and English, a lecture on "Iranian Women and Society," and a Noruz night with performances by Kazem Davoudian and GWU Dance Group. In March 2016, Roshan Cutural Heritage Institute awarded a grant to the Language Center at George Washington University in support of activities held during the first annual Persian Cultural Week in celebration of Noruz. Organized in partnership with GWU Persian program directed by Dr. Pardis Minuchehr, the activities included a lecture on "The Shahnameh in Pop Culture and Media," a Persian poetry night, a Persian movie night, and a Noruz music concert with Kazem Davoudian, a Santour performer and composer. Roshan Cultural Heritage Institute provided a grant to Georgetown University to award a Roshan Institute Fellowship for Excellence in Persian Studies to Nicholas Boylston, Ph.D. student in the Department of Theological and Religious Studies, for the completion of his dissertation, entitled "Writing the Kaleidoscope of Reality: The Significance of Diversity in Sana'i, 'Ayn al-Qudat and 'Attar," during academic year 2016-2017. Dr. Boylston successfully defended his dissertation in August 2017. He is currently Lecturer (half-time) in the Committee on the Study of Religion, Visiting Postdoctoral Fellow at the Center for Middle Eastern Studies, and Visiting Fellow at the Center for the Study of World Religions, at Harvard University. In June 2006, Roshan Cultural Heritage Institute awarded a grant to the French Department at Georgetown University for the production of an African play called "Sigui, Siguila, Siguiya" written by celebrated Ivorian author and Professor of French and African Studies, Dr. Amadou Koné. The play successfully opened on November 30, 2006 with performances through December 3 at the University's new Davis Performing Arts Center. The production of this theater project enhances and encourages intercultural communication in conjunction with the mission of the Institute. In 2002, Roshan Cultural Heritage Institute issued a grant to Georgetown University for the International Language Program and Research. 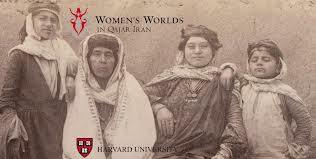 In 2013-2014, Roshan Cultural Heritage Institute provided a grant to Harvard University in support of the Women's Worlds in Qajar Iran Digital Archive and the creation of the Research Platform that enables and encourages research collaboration and exchange of ideas among scholars and users of the website. Women’s Worlds in Qajar Iran Digital Archive is a comprehensive digital resource that preserves, links, and renders accessible primary-source materials related to the social and cultural history of women's worlds in Qajar Iran. Led by Dr. Afsaneh Najmabadi, Francis Lee Higginson Professor of History and of Studies of Women, Gender, and Sexuality at Harvard University, it addresses a gap in scholarship and understanding of the lives of women during the Qajar era (1786 - 1925). In 2011, Roshan Cultural Heritage Institute supported Dr. Laetitia Nanquette’s postdoctoral research project at Harvard University on the production, distribution and reception of the Persian novel in the United States and in Iran since 1979. Her work focused on the following three areas and resulted in scholarly articles: the literary field in Iran, the Persian novel in the U.S. and the literary links between Iran and the U.S., with each area resulting in a scholarly article. Dr. Nanquette is currently a Lecturer and Australian Research Council DECRA Fellow in the School of the Arts and Media at the University of New South Wales in Sydney, Australia. The Harvard Iranian Oral History Project, led by its Director, Dr. Habib Ladjevardi, is a collection of personal accounts of many of Iran’s most important and influential political leaders of the latter half of the twentieth century. Roshan Cultural Heritage Institute is proud to be a sponsor of this project. In 2005, funding was provided to digitize the collection by transforming the audio recordings and transcripts into a stable, permanent electronic format that will be stored at Harvard Library’s Digital Repository. The Repository technicians will take responsibility for the technical upkeep of the files and make them available on the Internet to a worldwide audience. A grant from Roshan Cultural Heritage Institute supported the establishment of a Persian Language, Linguistics, and Culture Program (2013-2018) at the University of Hawaii at Manoa, in the College of Languages, Linguistics, and Literature. It provided support for Roshan Institute Instructor in Persian Language and Culture as well as Roshan Institute Fellowship in Persian Linguistics, Language Acquisition and Applied Linguistics for students pursuing Ph.D. degrees in Linguistics and Second Languages Studies, and Roshan Institute Fellowship for Persian Language and Culture for graduate students enrolled in Persian language and culture courses. This program contributed to a better understanding of Persian language, linguistics and culture, not only by teaching the students about Persian language and culture, but also through research generating new knowledge about the Persian language. Dr. Ladan Hamedani was Roshan Institute Instructor in Persian Language and Culture from August 2013 to August 2018. She received her Ph.D. in Linguistics from the University of Ottawa and has held faculty positions at McGill University and Islamic Azad University. She is teaching courses in Persian language, literature and introductory culture courses. In 2018, Roshan Cultural Heritage Institute awarded an Elahé Omidyar Mir-Djalali Fellowship for Excellence in Persian Studies to Elham Monfaredi for the completion of her doctoral dissertation, "Storytelling in Persian Language Classrooms: A Conversation Analytic Perspective," in academic year 2018-2019. Ms. Monfaredi is a Ph.D. candidate in the Department of Second Language Studies at UHM. In 2016, Roshan Cultural Heritage Institute awarded a second grant to Maseeh Ganjali for field research on traditional Iranian puppetry. Mr. Ganjali is currently a Ph.D. candidate in the Department of Theater and Dance at UHM. Since fall 2015, Persian language is offered as an online course at the University of Hawaii at Manoa. PERS 101: Beginning Modern Persian 1 is designed for distance learning, attracting learners who do not have Persian instruction at their universities. In 2011, Roshan Cultural Heritage Institute awarded a grant to Maseeh Ganjali for field research, a film presentation and a photography series, while he was an undergraduate student in the Department of Theater and Dance at UHM. His exhibit "COMMON PEOPLE, COMMON PLACES ~ Photographs from Iran" was showcased at the University's Hamilton Library during spring and summer 2012 and is followed by "Zoorkhane: House of Strength” in summer and fall 2014. Roshan Cultural Heritage Institute provided major funds to advance Persian Studies at the University of Maryland and to establish Roshan Institute for Persian Studies (formerly known as “Roshan Institute Center for Persian Studies"). Major elements of this support include: Roshan Institute Chair in Persian Studies, Roshan Institute Lecturer in Persian Studies, Roshan Institute Fellowships and Scholarships for Excellence in Persian Studies, and Elahé Omidyar Mir-Djalali Lecture Series and Cultural Programs. Roshan Institute for Persian Studies at the University of Maryland aspires to be the premier center for the learning, understanding, and appreciation of Persian culture in the United States. Toward this end, the Institute seeks to provide outstanding course offerings and programs in Persian language, literature, history, and culture; to foster communication and community ties among people of Persian heritage and those interested in Persian studies; and to serve as a model for encouraging intercultural communication among peoples of varying backgrounds. Professor Fatemeh Keshavarz is Roshan Institute Chair in Persian Studies and Director of Roshan Institute for Persian Studies since Fall 2012. She is also Director of the School of Languages, Literatures, and Cultures since August 2014. She taught at Washington University in St. Louis for over twenty years where she chaired the Department of Asian and Near Eastern Languages and Literatures until 2011. She is a scholar, award-winning author, poet and activist. Sussan Moinfar is the inaugural Roshan Institute Lecturer in Persian Studies, appointed in Fall 2016. She has been a Lecturer and Associate Director for Cultural Programming and Development at Roshan Institute for Persian Studies since 2013. Prior to joining UMD, she was Lecturer in Persian and Program Director at the Princeton University's Department of Near Eastern Studies (2004-2010) and directed the Persian program at George Mason University's Department of Modern and Classical Languages (2011-2013). The Elahé Omidyar Mir-Djalali Lecture Series was launched in March 2017, for Noruz, at an event featuring the documentary film, "Classical Persian Music: Hossein Omoumi from Isfahan to Irvine," funded by Roshan Cultural Heritage Institute. Following the screening was the concert, "Voices for Spring," by UC Irvine Professor Hossein Omoumi (Roshan Institute Fellow, 2014) and musicians Jessika Kenney, Amir Khoushkani and Hamin Honari. In 2015, Roshangar: Roshan Undergraduate Persian Studies Journal was launched as a biannual academic publication. The journal is designed and run by a group of talented undergraduate students, under the guidance of former Roshan Institute Fellow, Dr. Ida Meftahi, Visiting Assistant Professor at Roshan Institute for Persian Studies. Accompanying the peer-reviewed journal is the Roshangar website, featuring film and book reviews, interviews with scholars and artists, as well as highlights of local Persian events. 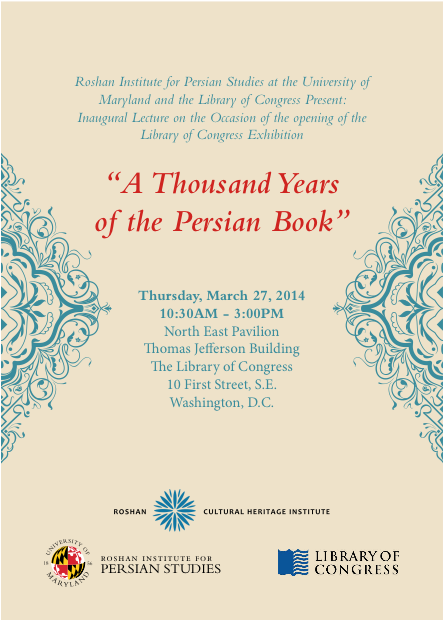 Roshan Cultural Heritage Institute also provided a grant to UMD to support the six-month long series of academic presentations designed by Professor Keshavarz to accompany the exhibit "One Thousand Years of the Persian Book" held at the Library of Congress from March 27 - September 20, 2014. The inaugural lecture "Illustrating the Persian Book: The Happy Marriage of Literary and Visual Narrative" by Professor John Renard (Saint Louis University) and panel discussion with Professor Renard, Professor Keshavarz and Dr. Amy Landau (Walters Art Museum) took place on March 27. This event was followed by lectures on various subjects related to the Persian book delivered by twelve other renowned scholars between April and September. Lecture by Beeta Baghoolizadeh on "The Color of Slavery in Iran"
Elahé Omidyar Mir-Djalali Lecture by Dr. Mohammad Gharipour on "Paradeisos: Origins and Historical Development of Persian Gardens"
Lecture by Dr. Emad Khazraee on "Persian Twitter: A Transforming Social Media Landscape"
Workshop on "Manuscript Preservation in Modern India: New Techniques and Strategies for Caring for Collections"
Lectures by Dr. Jaffer Sheykholislam on "Persian is Sugar" and on "Language Policy and Planning in Iran: A Critical Evaluation"
Lecture by Dr. Shai Secunda on "The Iranian Talmud: Locating the Babylonian Talmud in the Sasanian Empire"
Lecture by Dr. Miriam Crooke on "Dancing in Damascus: Creativity and Resilience in the Syrian Revolution"
"Cherishing Lorestan and Bakhtiary Heritage," an event including talks about the history and culture of the Lors and the Bakhtiaries, followed by video presentations, musical performances, dances and hand-craft exhibitions. Lecture by Dr. Roman Seibertz on "A Fifth Column of Nazi Imperialism? The German Community in Iran before 1941"
Lecture and book signing by Trita Parsi on his book, "Losing an Enemy-Obama, Iran and the Triumph of Diplomacy"
Multidisciplinary conference on Middle Eastern, with panels on "Iranian TV: Reflection of the State," chaired by Professor Fatemeh Keshavarz, with Dr. Ida Meftahi presenting "Lalehzar Street Re-Imagined: From Hizar Dasatan to Sharhrzad"
Talk by Professor Fatemeh Keshavarz on "Love and Rationality in Rumi's Poetry"
Lecture by Columba Stewart, OSB, on "Giving Voice to Ancient Texts: Digital Preservation and Access for Endangered Manuscripts from Threatened Communities"
Lecture and performance by Roya Duet, "Understanding multicultural identity through artistic expression"
Lecture and book signing by Dr. Hamid Dabashi on his book, "Persophilia: Persian Culture On The Global Scene"
Lecture and book signing by Dr. Fred Starr on his book, "Lost Enlightenment: Central Asia's Golden Age from the Arab Conquest to Tamerlane"
Lecture and book signing by Professor Fatemeh Keshavarz on her new book "Lyrics of Life"
Movie Series: "Border Café," "The Wind Carpet," and "Tehran Has No More Pomegranates"
Conference "The Wide World of Persian: Connections and Contestations, 1500-Today"
Women's Day event "Women Empowering Women. Iranian Entrepreneurs & Philanthropists"
Lecture “Art and Culture of Gilan” by journalist and author Ebrahim Moraveji. Roshan Institute’s first Iranian film festival "Festival Cinema Invisible"
Symposium “Iran After the 2009 Elections: Domestic, Regional and International Dimensions"
In 2003, Roshan Cultural Heritage Institute awarded a fellowship to Talinn Grigor, Ph.D. student at MIT’s School of Architecture. Her dissertation, “Cultivating Modernities: The Society for National Heritage, Political Propaganda, and Public Architecture in Twentieth-Century Iran,” offers a detailed history and a critical analysis of the political underpinnings, pedagogical aims, and aesthetic ends of Pahlavi architectural culture between 1921 and the Iranian Revolution of 1979. Dr. Grigor received her doctoral degree in 2005 and is currently Professor of Art History at UC Davis. A grant from Roshan Cultural Heritage Institute supported a major publication by Dr. Mohammad Gharipour, Professor in the School of Architecture and Planning at Morgan State University in Baltimore. Persian Gardens and Pavilions: Reflections in History, Poetry and the Arts (I. B. Tauris, 2013) reaches back through Persia's rich history to explore the material and psychological relationships between human beings, pavilions and gardens, and will be a valuable resource for Art History, Architecture and Iranian Studies. 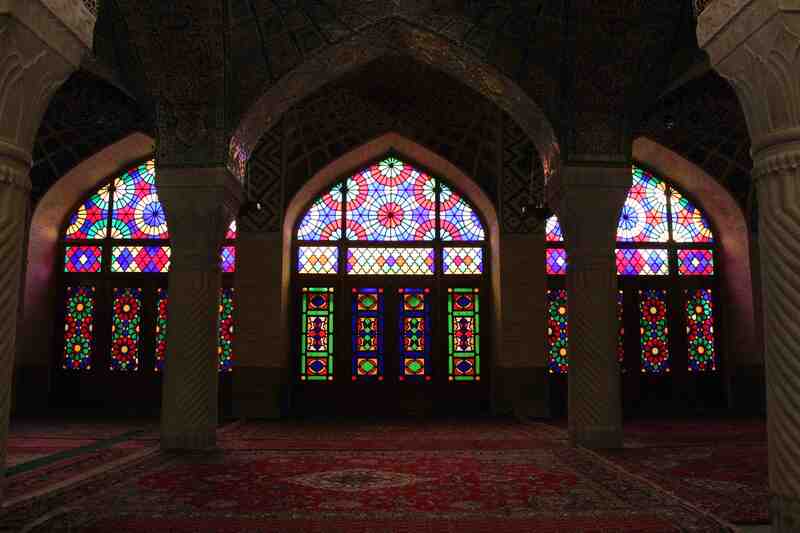 Dr. Gharipour is a specialist of Islamic architecture and is currently Associate Professor at Morgan State University. In February 2016, he was selected by Diverse: Issues in Higher Education magazine as one of twelve minority scholars who are making their mark in academia. In 2013, Roshan Cultural Heritage Institute established Roshan Institute Fellowship for Excellence in Persian Studies at the University of North Carolina at Chapel Hill (UNC). Admissions recruitment fellowships are awarded to support talented graduate students applying to a doctoral program at UNC whose research focuses on Persian Studies. Roshan Institute Fellowships for Excellence in Persian Studies also support current UNC graduate students through summer research awards for travel, reproduction of archival materials, purchasing research-related materials, and other miscellaneous expenses related to graduate student research. UNC's Persian Studies Program is housed in the Department of Asian Studies of the College of Arts & Sciences. It is guided by the Persian Studies Faculty Committee, which is chaired by Dr. Carl Ernst, William R. Kenan Jr., Distinguished Professor of Religious Studies and a scholar of Islamic studies, premodern and contemporary Sufism, and Indo-Muslim culture. The Program's course offerings include Persian language, Iranian culture and cinema, and Sufism, among others. A multitude of Persian cultural events, lectures, film festivals and academic conferences regularly take place at UNC. In 2015, Roshan Cultural Heritage Institute established Roshan Institute Professorship in Persian Studies in the Department of Asian Studies. This endowment marks the first Persian Studies endowed professorship at UNC. In July 2016, Dr. Claudia Yaghoobi was selected as the inaugural Roshan Institute Assistant Professor in Persian Studies. She received her Ph.D. in Comparative Literature with an emphasis in Feminist Studies from the University of California, Santa Barbara, and was previously Assistant Professor of International Literature at Georgia College and State University. Dr. Yaghoobi teaches Persian language and culture courses and also is the UNC Persian Studies Program Coordinator. Starting Fall 2016 semester, students may minor in Persian. Established in the Department of Asian Studies, the undergraduate Minor in Persian consists of four courses, including three Persian language courses and one course chosen among a wide selection of Persian-related culture, history and literature courses. Roshan Cultural Heritage Institute supported the 2016-2017 Persian Arts Series presented by the Carolina Performing Arts (CPA), in collaboration with UNC's Persian Studies Program. The series featured two successful performances at Memorial Hall, CPA's main venue located in the center of UNC campus. On October 28, 2016, avant-garde Iranian composer and vocalist, Sussan Deyhim, performed her acclaimed adaptation of the documentary short film, The House is Black, directed by the legendary Iranian poet, Forough Farrokhzad. Nearly 700 attended the performance. On February 10, 2017, two American giants of avant-garde music, Philip Glass and Laurie Anderson, performed Words and Music in Two Parts, with the Philip Glass Ensemble. Attended by nearly 1,300 people, the performance featured a libretto inspired by the poetry of 13th-century Sufi poet Rumi. 2015 (Summer) Patrick D'Silva "Investigating Yogic and Sufi Exchange in the 18th and 19th Centuries"
In January 2010, Dr. Mohammad Gharipour, Visiting Assistant Professor in the School of Architecture at the University of North Carolina at Charlotte, was awarded a grant for the publication of Persian Gardens and Pavilions: Reflections in History, Poetry and the Arts (I. B. Tauris, 2013). 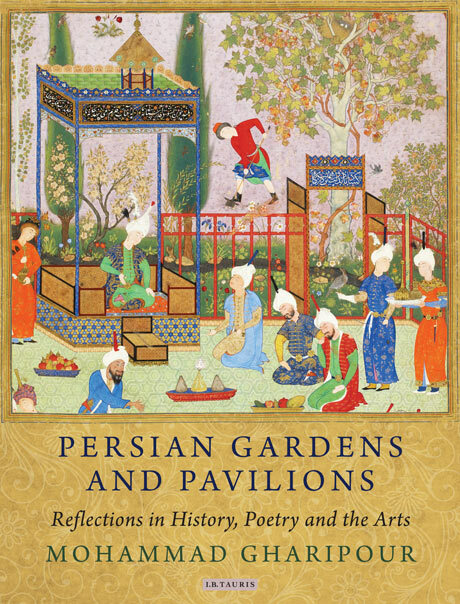 In this book, Dr. Gharipour places both the garden and the pavilion within their historical, literary and artistic contexts, emphasizing the importance of the pavilion, so overlooked in the study of Iranian historical architecture. He does so by examining the representations of gardens and pavilions in religious texts, the poetry of major Persian poets, miniature painting, sculpture and carpets, as well as accounts of travelers to Persia. He thereby highlights the spiritual, symbolic and religious aspects of gardens, as well as their more social and economic functions, reflecting patterns of patronage and ownership. Since 2011, Dr. Gharipour teaches in the School of Architecture and Planning at Morgan State University in Baltimore. 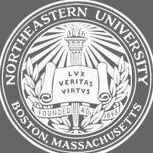 A Roshan Cultural Heritage Institute grant was awarded to Northeastern University to support Asal Baragchizadeh toward her Master of Public Administration degree in Political Science in 2010-2011. Ms. Baragchizadeh was a 2009 Roshan Institute Fellow at the East-West Center at the University of Hawaii. She holds a B.A. in Biomedical Engineering from Islamic Azad University in Tehran and is currently a graduate student in Applied Cognition and Neuroscience at the University of Texas at Dallas. Roshan Cultural Heritage Institute awarded a three-year Elahé Omidyar Mir-Djalali Research Fellowship (2018-2021) to Dr. Stephanie Cronin in support of a new project entitled Modern Iran: A Transformational History and the establishment of a new book series on historical studies of Iran and the Persian world at Edinburgh University Press. Dr. Stephanie Cronin received a three-year Roshan Institute Visiting Research Fellowship (2015-2018) in support of teaching in modern Iranian history, organizing an international conference, and conducting a research for her forthcoming book, Iran: a People's History. The conference, "The 'Dangerous Classes' in the Middle East and North Africa" was successfully held on January 26, 2017, at St Antony's College, with ten speakers and more than 100 in attendance. Papers from the conference will be published in a book by I.B. Tauris. In 2014, Roshan Cultural Heritage Institute awarded a fellowship to Dr. Homa Katouzian, Member of the Faculty of Oriental Studies and Iran Heritage Foundation Fellow of St. Antony's College at the University of Oxford, in support of the publication of Sa'di in Love, The Lyrical Verses of Persia's Master Poet (I.B. Tauris, 2016). Dr. Katouzian is a specialist in Persian literature and has already published three books on Sa'di, in Persian and English. Dr. Stephanie Cronin, Departmental Lecturer in Persian Studies at the Faculty of Oriental Studies, received a fellowship in 2012 from Roshan Cultural Heritage Institute in support of a major scholarly workshop on “Russian Orientalism to Soviet Iranology: The Persian-Speaking World and its History through Russian Eyes” and the publication of its papers in a special issue of Iranian Studies. The conference took place on November 30 – December 1, 2012 at St. Antony’s College (University of Oxford) and attracted participants from the U.S., U.K., Europe, Russia and Central Asia. The workshop opened up new perspectives for scholarship on the history of the Persian-speaking world. Co-edited by Dr. Cronin and Professor Edmund Herzig, with the general editorship of Dr. Homa Katouzian, the special issue of Iranian Studies was published in August 2015. In 2005, Roshan Cultural Heritage Institute sponsored “Private Lives and Public Spaces in Modern Iran” held at St. Antony’s College on July 7-10, 2005. Chaired by Dr. Mohamad Tavakoli-Targhi (University of Toronto), this conference was organized by the Faculty of Oriental Institute and St. Antony’s College (University of Oxford) and by the Iran Heritage Foundation. The purpose of the conference was to address new scholarship on the themes of historization of personhood, the family, modes of intimacy and friendship in modern Iran. In 2004, Roshan Cultural Heritage Institute partnered once again with the Faculty of Oriental Studies and St. Antony’s College (University of Oxford) and Iran Heritage Foundation for the presentation of “Historiography and Political Culture in Twentieth-Century Iran.” The conference took place at Wadham College (University of Oxford) on September 17-18, 2004, and considered modern Iranian historiography in the areas of political, economic and social culture. Professor Touraj Atabaki chaired the event which brought together a number of renowned scholars of modern Iran. Roshan Cultural Heritage Institute supported the Sadeq Hedayat Centenary Conference, organized by the Faculty of Oriental Studies and St. Antony’s College (University of Oxford) and by the Iran Heritage Foundation on March 28-29, 2003. This conference celebrated the 100th anniversary of Persian author Sadeq Hedayat’s birth by uniting eminent scholars of Persian literature from the U.S., Europe and Iran. The event was chaired by Dr. Homa Katouzian and took place at the Middle East Centre, St. Antony’s College. In 2006, Roshan Cultural Heritage Institute awarded a fellowship grant to Pennsylvania State University for Dr. Susan Strauss, Associate Professor of Applied Linguistics, to conduct a two-year project, entitled “Persian Language and Culture for Intermediate and Advance Level Study.” Dr. Strauss’ areas of research focus on the discourse, interaction, conceptualization, and grammar in several languages including Korean, Japanese, American English, Chinese and Persian. In 2006, Roshan Cultural Heritage Institute also provided Penn State a Roshan Institute Fellowship for Excellence in Persian Studies for Ph.D. candidate Parastou Feiz, for her dissertation, entitled “The Expression and Conceptualization of Motion through Space and Manner of Motion in Persian and in English: A Comparative Analysis,” in the Department of Applied Linguistics. Dr. Feiz completed her degree in 2007, and since has been teaching Applied Linguistics and TESL in the Department of English at California State University, San Bernardino. In 2010, a grant was made to Portland State University by Roshan Cultural Heritage Institute to support the development of a first-year Persian language textbook and the “Iranian Women: A Film Series” held on February 5-19, 2012. 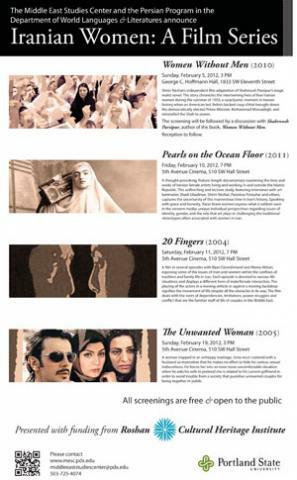 The Film Series included the screening of Shirin Neshat's "Women Without Men," the documentary "Pearls on the Ocean Floor," "20 Fingers," and "The Unwanted Woman." These initiatives were led by Dr. Anousha Sedighi, Associate Professor of Persian in the Department of Foreign Languages and Literatures, whose areas of research are Persian linguistics, Persian language pedagogy, and Persian as a heritage language. Dr. Sedighi was appointed to the rank of Full Professor of Persian in fall 2017. She is the first full professor in Persian Studies in the country whose main research and scholarship focus on Persian language pedagogy. Roshan Cultural Heritage Institute awarded a grant to the University of San Diego to support Azadeh Davari's work in the M.A. program in Nonprofit Leadership and Management in 2013-2014. The program offers an integrated course of study that melds state-of-the-art leadership theory with proven management models, strategies and tools designed to teach professionals how to create and manage high-performance organizations. Ms. Davari is a former Roshan Institute Fellow who participated in the Asia Pacific Leadership Program at the East-West Center in 2010. She completed her Ph.D. in Leadership Studies at the University of San Diego in May 2018. A major grant from Roshan Cultural Heritage Institute supported a three-year pilot Persian Studies Program (2013-2016) at San José State University. Its goals and vision was to draw on the intellectual and cultural resources of SJSU and the Silicon Valley community to offer an interdisciplinary approach to understanding Iran, Persian culture and language, and to move beyond the boundaries of Iran to include an appreciation and study of other Persian-speaking communities, including those of the Iranian Diaspora. Among the initiatives supported by this grant were research projects by SJSU faculty, Graduate Fellowships, Undergraduate Scholarships and Assistantships, and Roshan Institute Lecture Series and Cultural Events. In 2014, Roshan Cultural Heritage Institute also supported the organization of Roshan Institute Lecture Series on “The Book of Kings” by Iraj Tabibnia at San José State University. Mr. Tabibnia is a scholar of Persian history and literature, and the author of “The Story of the Compact of Rostam and Sohrab.” Between September and December, ten sessions in Persian (with summary translation in English) explored Iran’s national epic written by Persian poet Ferdowsi. Conference "Engaging Iran and the Iranian Diaspora after the Nuclear Agreement: Opportunities and Challenges"
Two-day conference "Cultures of the Iranian Diaspora"
Dr. Manoutchehr M. Eskandari-Qajar is Chair of Political Science/Economics and Director of Middle East Studies at Santa Barbara City College, and President and Founder of the International Qajar Studies Association (IQSA). In 2014, Roshan Cultural Heritage Institute awarded a grant in support of the Fourteenth IQSA Conference held on May 30-31 at the Iranistik Institute of the Otto-Friedrich University in Bamberg, Germany, and the publication of the 2014-2015 IQSA Journal. Professor Eskandari-Qajar was one of the keynote speakers of the Fourteenth IQSA conference whose theme focused on "Literature and Writing in Qajar Iran." In 2018, Roshan Cultural Heritage Institute approved a grant to Stony Brook University to conduct a Three-Year Research on Endangered Iranian Languages, with a focus on Caspian languages. The grant includes funding for a three-year Elahé Omidyar Mir-Djalali Postdoctoral Fellowship in Endangered Iranian Languages to conduct research under the supervision of Professor Richard Larson, past-Chair of the Department of Linguistics at Stony Brook University. A search for the Elahé Omidyar Mir-Djalali Postdoctoral Fellow will be conducted in academic year 2018-2019, and it is anticipated that the selected candidate will conduct the research from Fall 2019 thru Spring 2022. 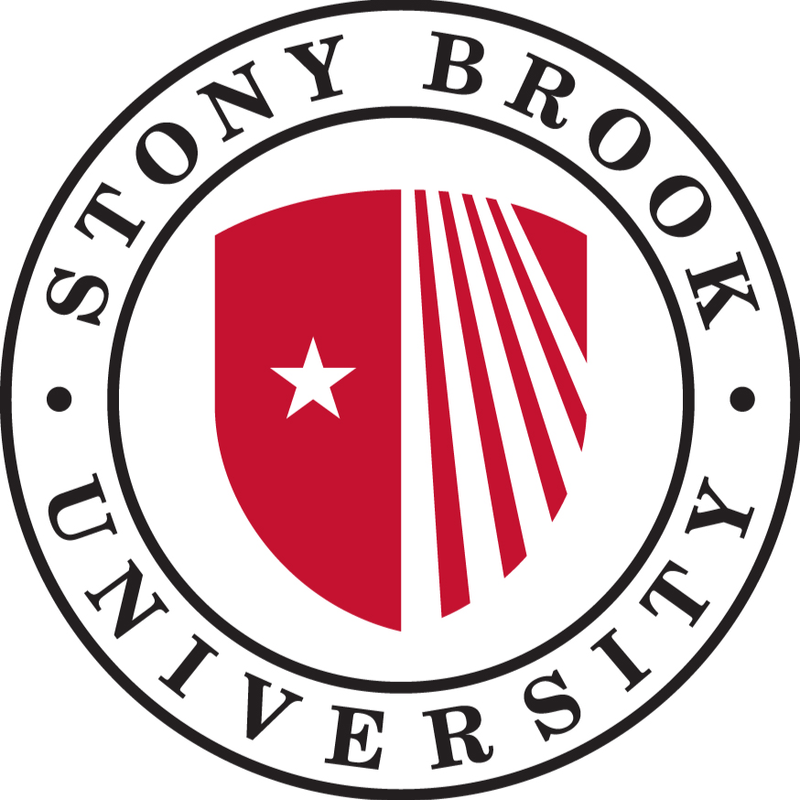 In 2016, Roshan Cultural Heritage Institute awarded a grant to Stony Brook University to host the first North American Conference in Iranian Linguistics (NACIL 1) on April 27-30, 2017. NACIL 1 was organized and led by Professor Richard Larson, Chair of the Department of Linguistics at Stony Brook University. Professor Larson has a long-standing research interest in the languages of the Iranian family and on their implications for linguistic theory. NACIL 1 was successful held and attracted scholars from all over the world, as expected. A publication of the conference papers is planned by the end of 2018. Roshan Cultural Heritage Institute provided a grant to Stony Brook University to award a Roshan Institute Fellowship for Excellence in Persian Studies to Vahideh Rasekhi, Ph.D. student in the Department of Linguistics, for the completion of her dissertation, entitled "Ellipsis and Information Structure: Evidence from Persian," during academic year 2016-2017. Dr. Rasekhi successfully defended her doctoral dissertation in August 2018 and will continue her research in the syntax of Iranian languages at UCLA Linguistics Department, where she has been awarded the first Elahé Omidyar Mir-Djalali Postdoctoral Fellowship in Iranian Linguistics for 2018-2020. In 2014, Dr. Mehrzad Boroujerdi, O'Hanley Professor of Political Science at Syracuse University, and 2014 President of the International Society for Iranian Studies (now known as the Association for Iranian Studies) was supported by Roshan Cultural Heritage Institute for the organization of the Tenth Biennial Iranian Studies Conference, on August 6-9, 2014, in Montreal, Canada. This major event brought together hundreds of scholars and students of Iranian Studies for presentations, panel discussions, receptions and other activities. The conference was hosted by the Centre for Iranian Studies at Concordia University and the Institute of Islamic Studies at McGill University in Canada. In 2016, Roshan Cultural Heritage Institute awarded a fellowship to Sepideh Raissadat for her musical project, "Rameshgari: Reviving the Art of Tasnif-composing", under the supervision of Professor Mohamad Tavakoli-Targhi. A Persian classical vocalist and musician who recorded her first album when she was 18, Ms. Raissadat is currently pursuing a Ph.D. in Ethnomusicology at the University of Toronto. In 2014, Roshan Cultural Heritage Institute provided a grant to the Toronto Initiative in Iranian Studies, directed by Professor Mohamad Tavakoli-Targhi, to award a fellowship for Dr. Homa Katouzian, member of the Faculty of Oriental Studies and Iran Heritage Foundation Fellow of St. Antony's College at the University of Oxford. 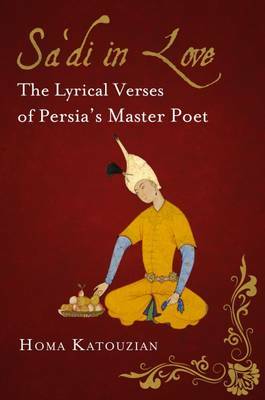 The grant supported the publication of Sa'di in Love, Lyrical Verses of Persia's Master Poet (I.B. Taurus, 2016) by Dr. Katouzian. Roshan Cultural Heritage Institute awarded a grant to the University of Toronto in 2012, in support of Golbarg Rekabtalaei's doctoral dissertation, entitled “Cinematic Modernity: Cosmopolitan Reel Imagination in Twentieth-Century Iran”. In 2011, Ida Meftahi received a Roshan Institute Fellowship for Excellence in Persian Studies toward the completion of her Ph.D. dissertation, entitled “The Biopolitics of Dance in Twentieth-Century Iran.” She successfully obtained her degree in Near and Middle Eastern Civilizations from the University of Toronto in summer 2013 and was a Postdoctoral Fellow at the Institute for the Arts and Humanities of Pennsylvania State University in 2013-2014. Dr. Meftahi is currently Visiting Assistant Professor at Roshan Institute for Persian Studies of the University of Maryland College Park. In 2010, Roshan Cultural Heritage Institute supported Dr. Mohamad Tavakoli-Targhi, Associate Professor at the University of Toronto and 2010 President of the International Society for Iranian Studies (now known as the Association for Iranian Studies), for the organization of the Eighth Biennial Iranian Studies Conference on May 27-30, 2010. The major event brought together 250 scholars on the subjects of Persian language, literature and culture, and Iranian Diaspora. 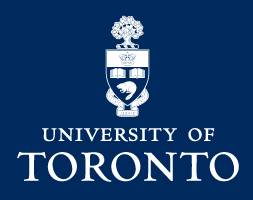 Roshan Cultural Heritage Institute provided a fellowship to the University of Toronto to support Ph.D. candidate, Chad Lingwood, in 2006-2007. He completed his dissertation, entitled “Jami's Salaman va Absal: A 15th Century Mystical Mirror for Princes in the Aq Qoyunlu Context,” and received his degree in 2009. Dr. Lingwood is currently Assistant Professor of History at Grand Valley State University and recently published his Ph.D. work as a book-length monograph under the title, "Politics, Poetry, and Sufism in Medieval Iran: New Perspectives on Jami's Salaman va Absal" (Brill Academic Publisher, 2014). Roshan Cultural Heritage Institute provided funding to University of Virginia for Linguistics students, Annahita Farudi and Maziar Toosarvandani, in support of the Dari Language Project developed in 2003. The primary goals of the Dari Language Project were to contribute to the preservation and perpetuation of Dari; fund and organize linguistic research, primarily on-site linguistic fieldwork; and disseminate the findings in both public and academic venues. The project, which has since launched a Web site and the construction of an online dictionary, has received attention from online Iranian culture and linguistics resources, and has been acknowledged by authors of published works. Both students have also published papers based on findings from the fieldwork and presented related research by invitation in the US and Europe. An endowment for Roshan Institute Fellowship for Excellence in Persian Studies was established at the University of Washington in 2003 to provide support to future generations of graduate students in the Persian and Iranian Studies Program and the Department of Near Eastern Languages and Civilizations (NELC) of the College of Arts and Sciences. The Program is directed by Dr. Selim Kuru, Chair, NELC, and Associate Professor of Ottoman language and literature and Modern Turkish. It offers elementary to advanced levels of Persian language as well as courses in modern Persian literature, poetry, and civilization, and others. In 2015, Roshan Cultural Heritage Institute sponsored the Annual Persian and Iranian Studies Gala, a fundraiser for the Persian and Iranian Studies Program. Proceeds from the fundraiser were used to organize the Conference, "Writing the Iranian Revolution: Memory, Testimony, Time," held on May 12-13, 2017, at the university. A Roshan Cultural Heritage Institute grant was awarded to the Persian and Iranian Studies Program at the University of Washington from 2007-2009, in support of the following activities: Roshan Cultural Heritage Institute Lecture Series, Iranian Film Series, conference “Modern Iran: the Future of the Past” and additional lectureship for Persian Studies. 2013-2014 Jipar Duishembieva "Central Asian Intellectuals of Semirech’e Oblast of Russian Turkestan, 1905-1924"
A grant was awarded to Washington University in St. Louis to provide a Roshan Institute Fellowship for Excellence in Persian Studies in 2012-2013 to Matthew Thomas Miller in support of his Ph.D. work on the 13th-century Sufi poet Fakhr al-Din ‘Eraqi. Dr. Miller completed his Ph.D. in Comparative Literature in 2016 and is currently Assistant Professor of Persian Literature and Digital Humanities at the University of Maryland, College Park, where he also serves as the Associate Director of the Roshan Initiative in Persian Digital Humanities (PersDig@UMD). Roshan Cultural Heritage Institute provided a grant to Yale University in academic year 2014-2015, in support of Assef Ashraf, while he was completed his doctoral dissertation on "From Khan to Shah: Political Culture, State Formation, and Patronage in Qajar Iran, 1785-1834" in the Department of History. Dr. Ashraf received his Ph.D. in 2016 and is currently Lecturer in Eastern Islamic Lands and the Persian-speaking World in the Faculty of Asian and Middle Eastern Studies at the University of Cambridge, UK.